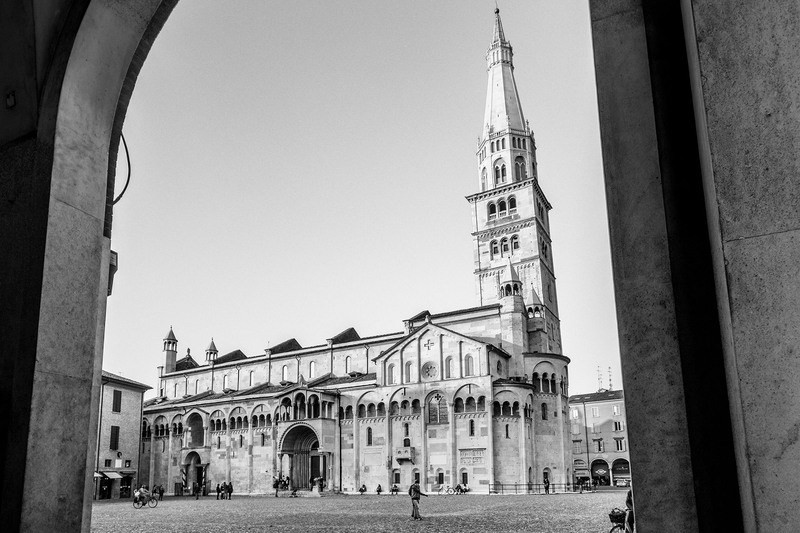 The Duomo of Modena is considered to be one of the best examples of Romanesque architecture. It is one of several religious buildings from the Middle Ages recognized by UNESCO. 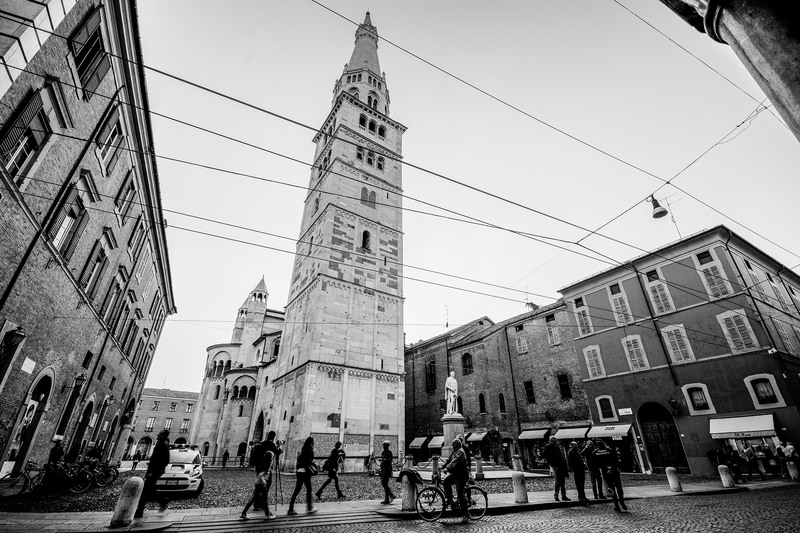 The building site, which dates back to 1099, was entrusted to the architect Lanfranco, who was given the task of building a new cathedral in the city for a new sepulchre of its patron saint, San Geminiano. Lanfranco’s architectural proposal is clearly based on a harmonious composition. He uses the square plan of the crossing tower providing a module for the rest of the plan, one of the most significant structures of European Romanesque architecture. 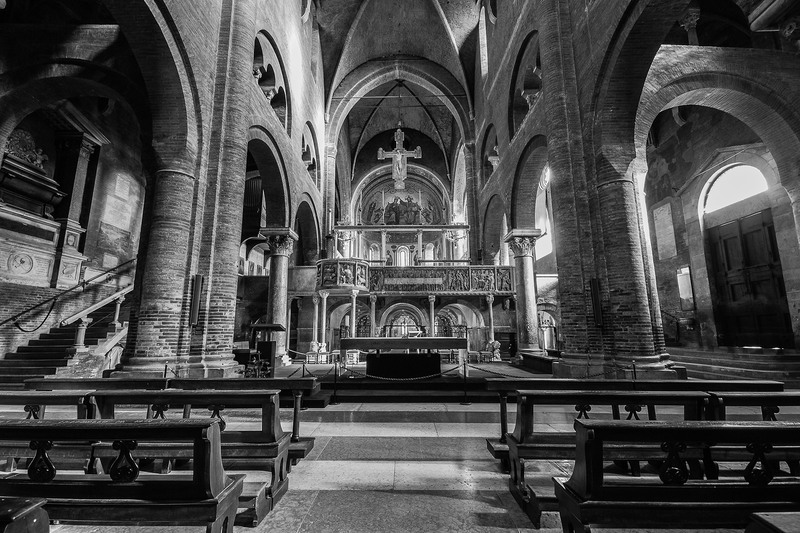 The layout of the church is similar to that of a basilica, with three naves, without a protruding transept, while the salient façade highlights the internal link between the central nave and the lateral naves. Lanfranco chose a uniform pattern for the exterior and the interior, that is the triforium in a large arch, highlighting the elegance. The crypt with the sepulchre of San Geminiano is at a semi-submerged level, whereas the chancel (presbytery) is raised similar to the Cluny type. On the structure created by Lanfranco are carved, with extraordinary harmony, the sculptures of Wiligelmo. 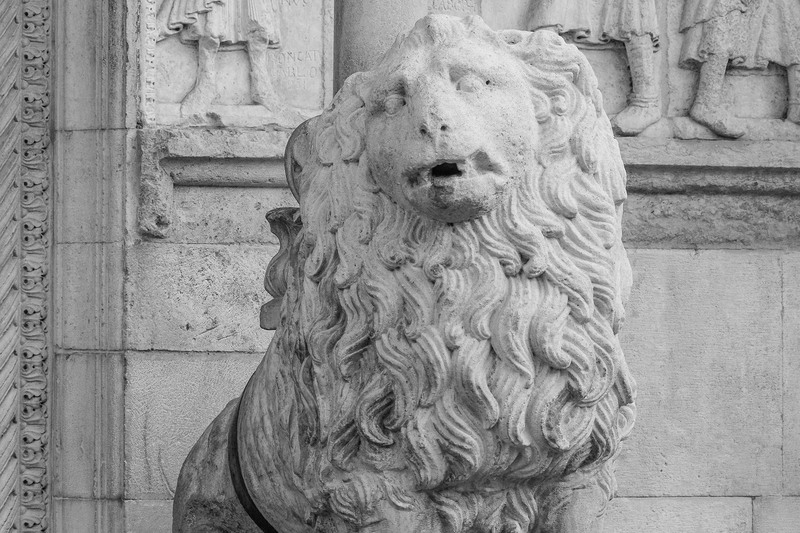 He and his school are attributed with having carved the splendid decorations like the vegetation motifs and fantastic beings which are found on the capitals of the loggia, the shelves underneath the arches and the ornamental slabs. 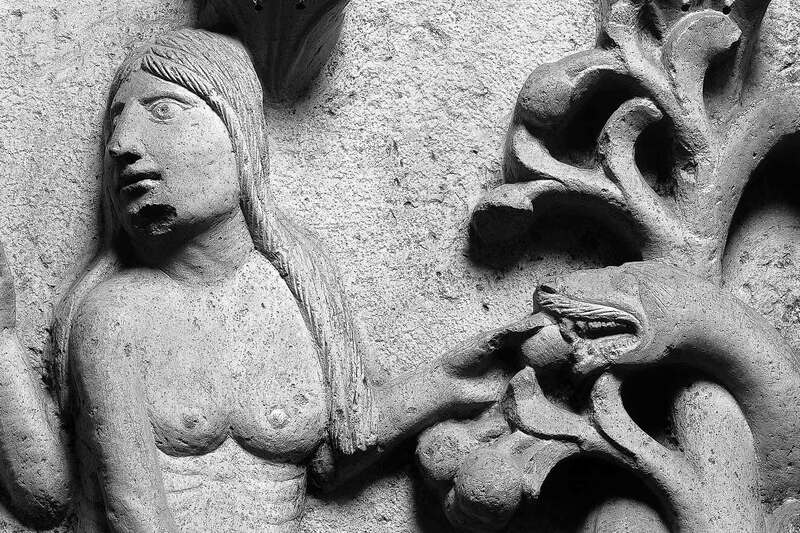 His expertise is evident on the Reliefs of the Genesis and in the decoration of the Portale maggiore, while his admiration for Antiquities is present in the large capitals adorned with leaves on the internal columns of the central nave. Together with Wiligelmo’s construction site worked craftsmen who decorated the Porta dei Principi or del Battesimo and the Porta della Pescheria, along with the “Maestro delle Metope”. 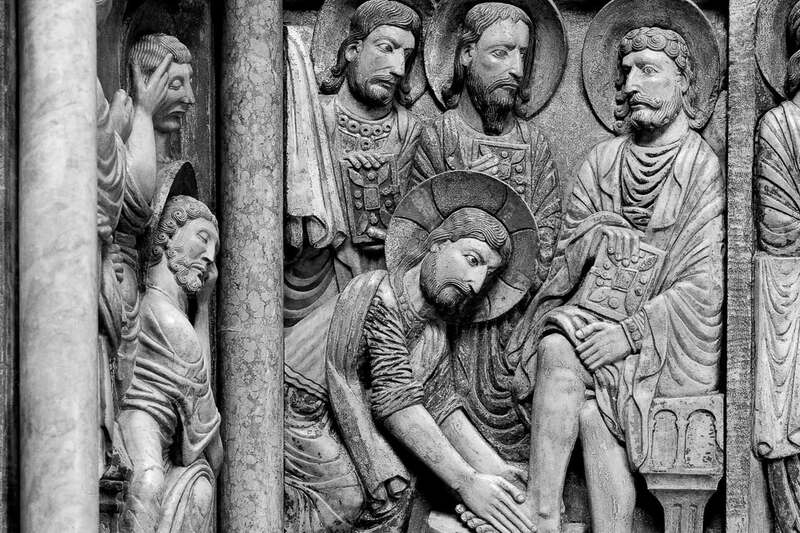 Art works executed by him, together with findings coming from the ancient cathedrals before the Romanesque one are stored at the Lapidarium museum of the Duomo. The first phase of the construction of the cathedral was concluded in the 30’s of the 12th century. 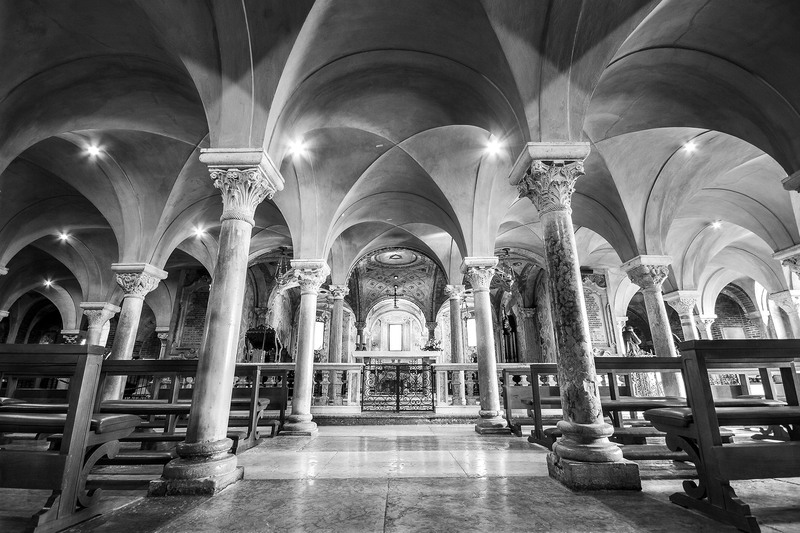 In 1184 Pope Lucio III consecrated the building. 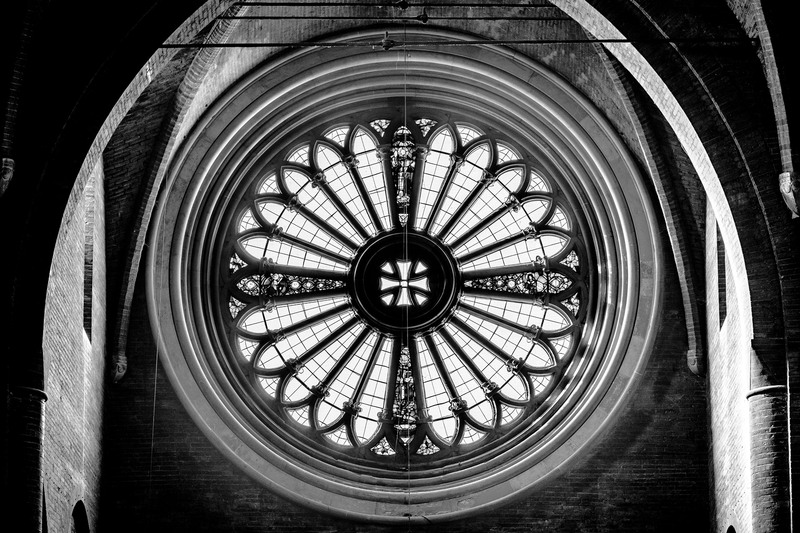 From 1190 the Maestri Campionesi craftsmen made their appearance bringing with them artistic trends from France and they raise the chancel (presbytery) area, open the rosette on the façade of the Porta Regia, the monumental entrance on Piazza Grande. Attibuted to them, lastly, is the decision to build the tower, the Ghirlandina. The external monumental aspect of the Duomo is contrasted by its warm atmosphere internally. The layout of the building is divided into three naves with false matroneums. Stunning cruciform pillars support the five aisles of the central nave alternated by marble columns with capitals at the top decorated with vegetation by Wiligelmo. The interior ends with the raised chancel (presbytery), accessible by two lateral stairways and with three apses. Among the various works of art found there is the Presepio (Nativity scene) in terracotta by the local model-maker from Modena Antonio Begarelli (1527), the fresco of the Madonna delle Ortolane by a local painter (circa 1345), the Altare delle Statuine by Michele da Firenze (circa 1440), the Cappella Bellincini by Cristoforo da Lendinara (circa 1475), San Sebastiano fra i Santi Girolamo e Giovanni Battista, a painting on panel by Dosso Dossi (1518-1522), the intarsia wooden choir (1465) and the four panels with the Evangelisti (1477) by Cristoforo and Lorenzo Canozi da Lendinara, the Pulpito by Enrico da Campione (1322), the Pontile with scenes from the Passion, work of art by the Campionesi. Per tutta l’ampiezza del presbiterio si sviluppa la cripta, a tre navate, sostenuta da colonnine con capitelli d’arte lombarda della fine dell’XI secolo. Nell’abside centrale si trova il ; nell’abside destra, il gruppo in terracotta policroma della di Guido Mazzoni (1480-1485 ca.). The crypt extends lengthwise beneath the chancel (presbytery), in three naves, sustained by Lombard artwork columns from the 11th century. In the central apse lies the Sepolcro di San Geminiano; in the apse on the right, the terracotta polychrome group of the Madonna della Pappa by Guido Mazzoni (circa 1480-1485).